Funding opportunity intended to catalyze new research on focal species, species interactions, ecosystems, genomics/phenomics, and other emerging areas related to the scope of the GEM3 award. 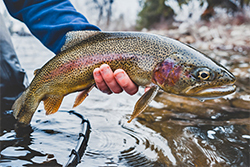 ISU fish ecologists Ernest Keeley and Janet Loxterman have identified some of the last remaining native, genetically pure populations of Cutthroat Trout in the areas around Pocatello. Register now for the Idaho Conference on Undergraduate Research! 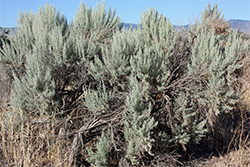 Two key taxa will be under study: one aquatic (redband trout) and one terrestrial (sagebrush). These taxa are integral to ecosystems in the American West, and are central to land-use management decisions that drive the economy of the region. This award will advance fundamental knowledge on the mechanisms that rule genome to phenome pathways to predict how species adapt to external stressors and a changing environment. It will help translate this knowledge into evidenced-based resource management policies and practices for more adaptive and resilient species and landscapes.